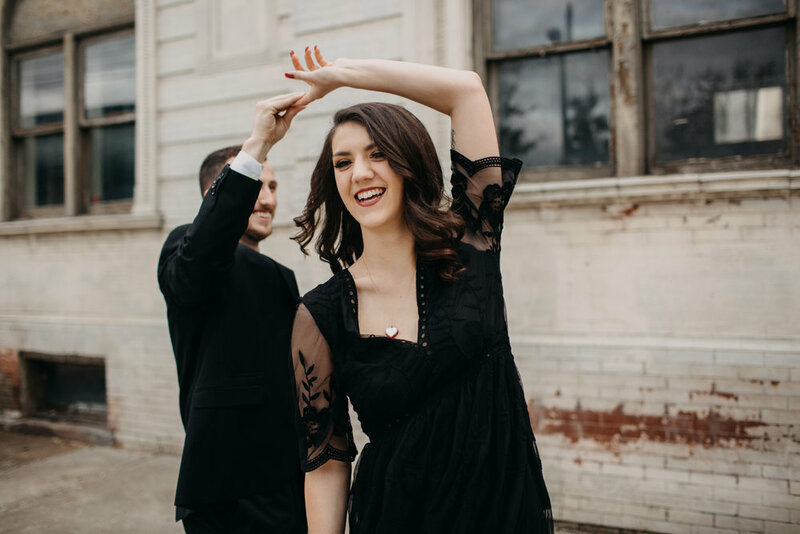 Guys...Chelsea and Garrett are just the flippin best. 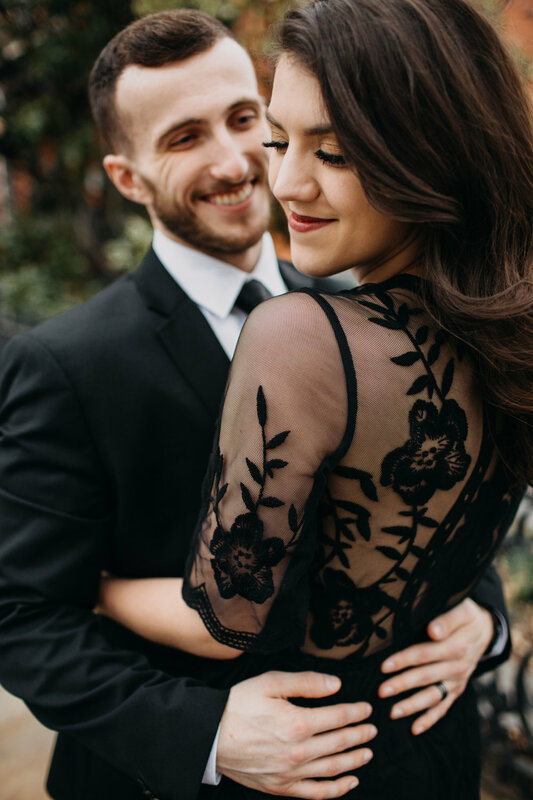 Anyone who wears a sweet black dress and a black suit to their engagement session is alright in my book. But for real. They were so fun and open to trying different things. They were so great together. It was apparent that they care about each other, a lot. 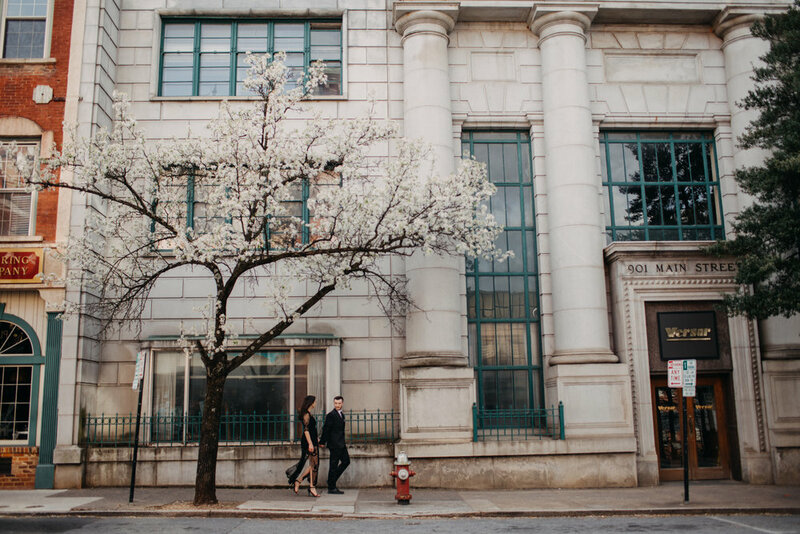 We shot their session in downtown Lynchburg which was the perfect look for them. 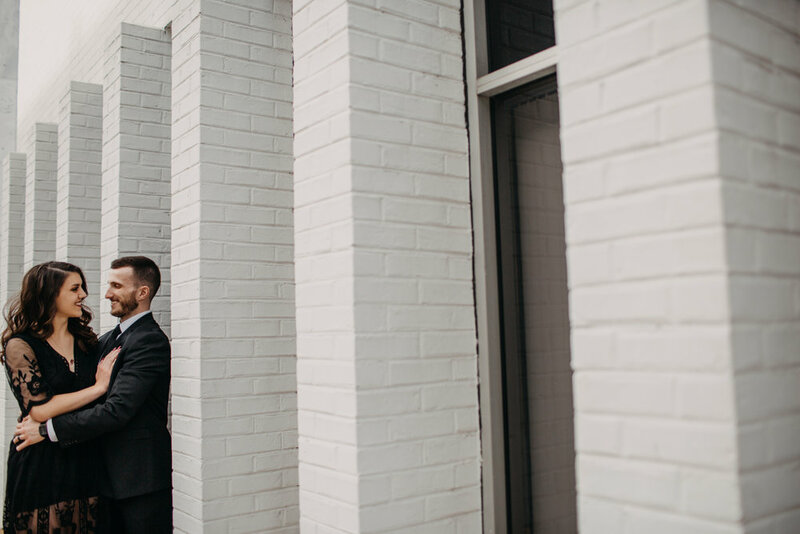 Every time I shoot there I try to find different spots and see things differently than I did before. It helps to keep things fresh for me and new for my clients. 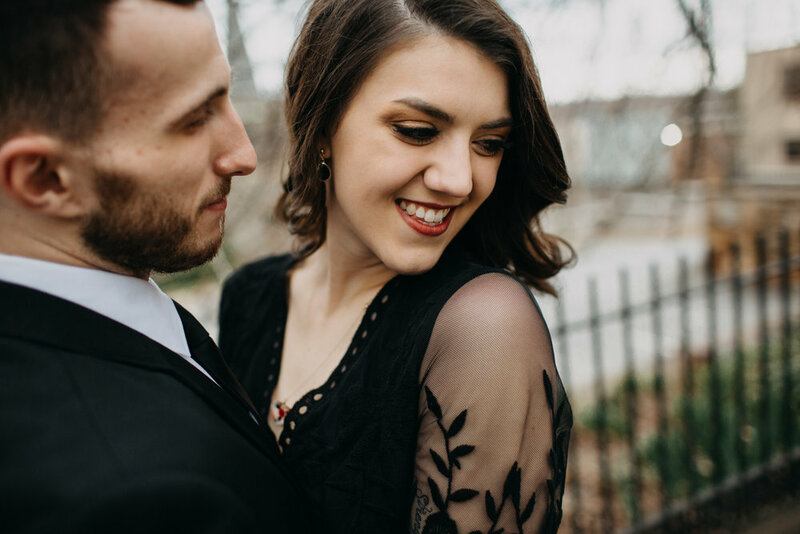 As a wedding photographer Lynchburg has so many great options for engagement sessions! 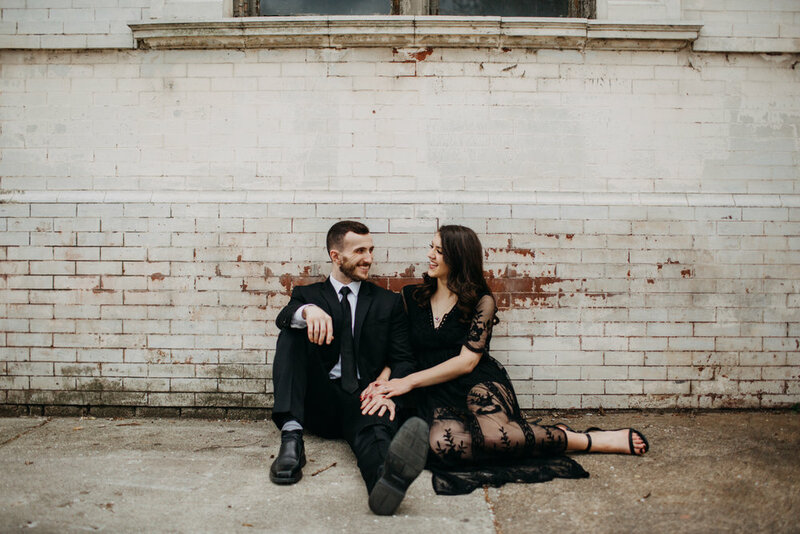 I'm super excited to photograph their wedding at Sorella Farms this June! 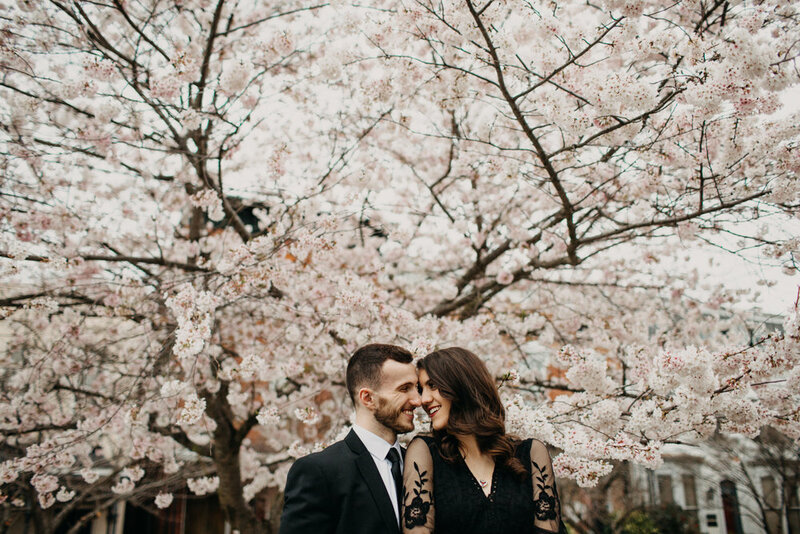 Keep an eye out for their wedding on the blog!